UPDATE at 5:59 PM | THE Bureau of Meteorology has warned severe storms could continue to develop in southeast Queensland throughout the evening. It warns severe storms are likely to produce large hailstones over the next several hours. 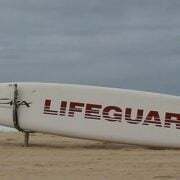 Locations which may be affected include the Gold Coast, Mount Tamborine, Springbrook and Beenleigh. To stay up to date with the latest warnings as they are issued, click here. 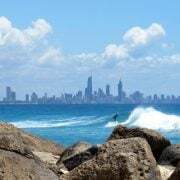 UPDATE at 5:30 PM | THE Bureau of Meteorology has cancelled its severe storm warning for the Gold Coast. 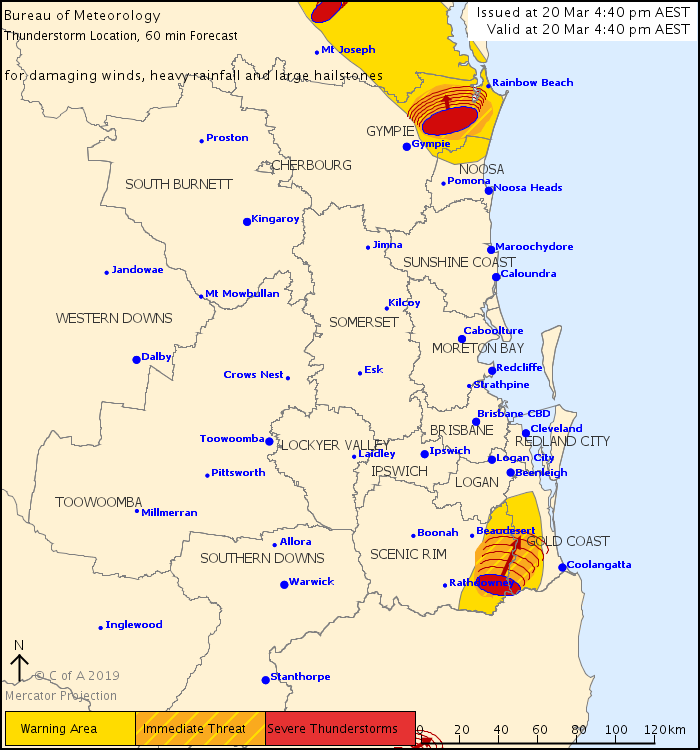 At 5:24pm, the weather bureau advised severe storms were no longer forecast to affect Nerang or Canungra. Storms are continuing, however, near Rathdowney on the Queensland-NSW border and near Gympie, north of the Sunshine Coast. 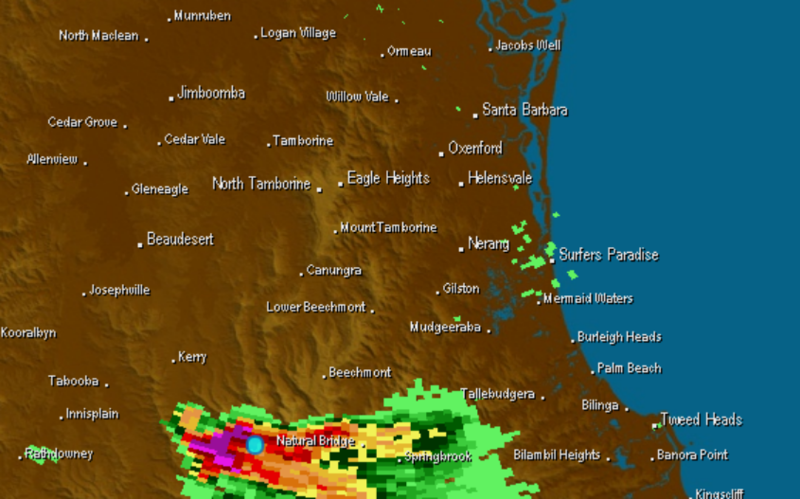 UPDATE at 4:50 PM | THE Bureau of Meteorology has updated its severe thunderstorm warning for the Gold Coast. 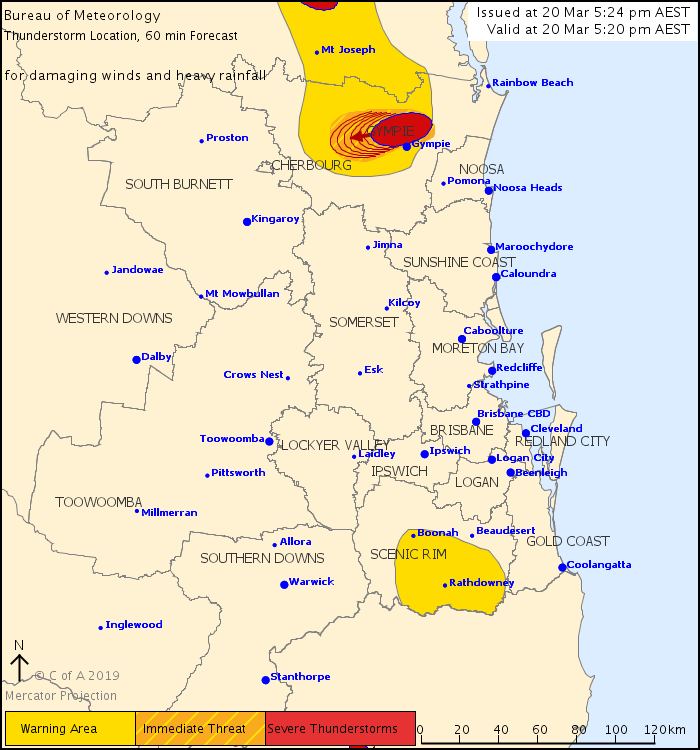 It advises severe storms near Lamington National Park are moving northeast and are forecast to affect Numbinah Valley and Little Nerang Dam by 5.15 pm and Canungra and Nerang by 5:45 pm. The weather bureau warns the storms will be capable of producing damaging winds, heavy rainfall that may lead to flash flooding and large hailstones. FIRST at 4:35 PM | A SEVERE thunderstorm warning has been issued for parts of the Gold Coast hinterland. 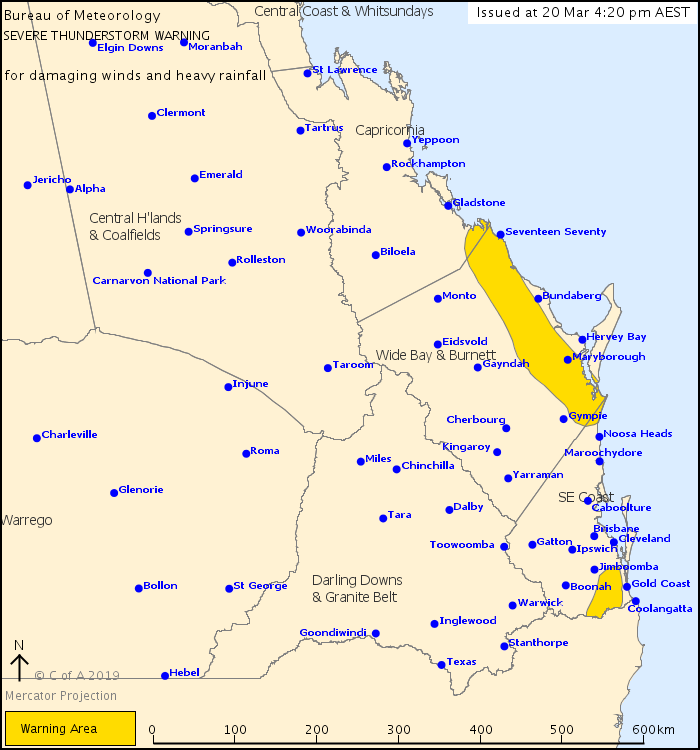 The warning covers parts of the Capricornia, Wide Bay and Burnett and Southeast Coast forecast districts. The Bureau of Meteorology warns severe storms are likely to develop in the warning area over the next several hours. At the time of writing, storms were developing near the Queensland-NSW border and about the eastern Wide Bay region. Damaging winds and heavy rainfall that may lead to flash flooding is likely, the weather bureau warns. 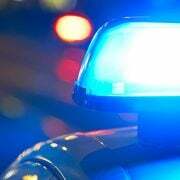 Locations which may be affected include Maryborough, Gin Gin, Miriam Vale, Mount Tamborine, Rainbow Beach and Tiaro. A small but intense storm was located near Natural Bridge, about 26km south of Mount Tamborine at 4.30pm and was headed straight for the hinterland community.